Sorbet | Dessert Darling ! Love this Acai Mango sorbet! I’m not normally a sorbet girl. I find it a bit shocking with with it’s icy cold temps and disproportionate ratio of high sugar to low fat. I need some cream and substance in there to balance it out. In this instance though, Acai is a creamy super fruit that’s packed with both antioxidants and yumminess. Not only is Acai supposed to give you great energy and glowing skin, but also, it’s the hangover cure of choice in Brazil. Voila! Finally, the sweet mango is the perfect mate to the mild acai for a rockin’ low cal treat. For more info on Belizza’s Acai sorbets, click here. 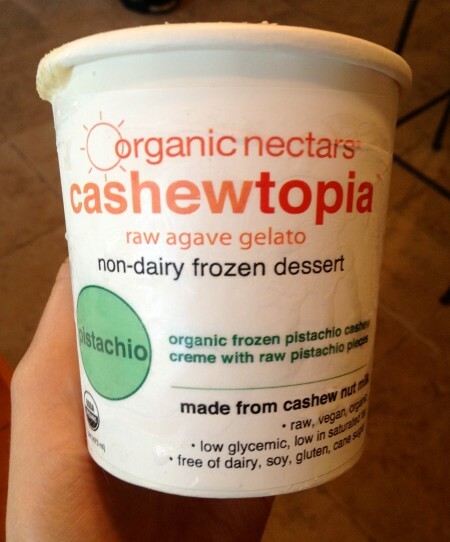 ((sigh)) As much as I appreciate an all natural attempt at traditional desserts, Cashewtopia fails to deliver on something amazing. This organic, raw, vegan, low glycemic, dairy, soy, and sugar free gelato uses way too much agave nectar, which makes it too sweet and drowns out the natural flavors that they offer (pistachio & chocolate being my favorites). 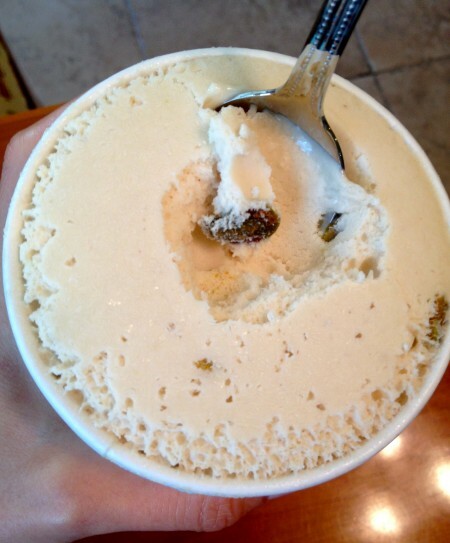 That said, the consistency and quality of this raw, agave “gelato” is pretty well done, so I think the saccharine sweetness of the flavors could be an easy fix. And- am I wrong to want the branding on the tub to be a little cuter? Maybe that sunshine logo needs to be smiling.. I dunno. Again, I want to support brands like Organic Nectars, but they have to meet half way. For more info on Organic Nectar’s Cashewtopia, click here. Tonight I had the pleasure of doing dessert in the chic and luxurious "living room" at The W Hotel in Hollywood. While the waitress insisted that the chocolate fondue was her favorite menu item, I opted for the lighter Mango Ginger Split since I'm hopping on a flight first thing tomorrow morning for Mexico (Woo! But bikini bikini bikini!). For more info on The W Hotel in Hollywood, click here.